WooCommerce MailChimp Integration Extension: During checkout, let your WooCommerce customers subscribe to your MailChimp email list. 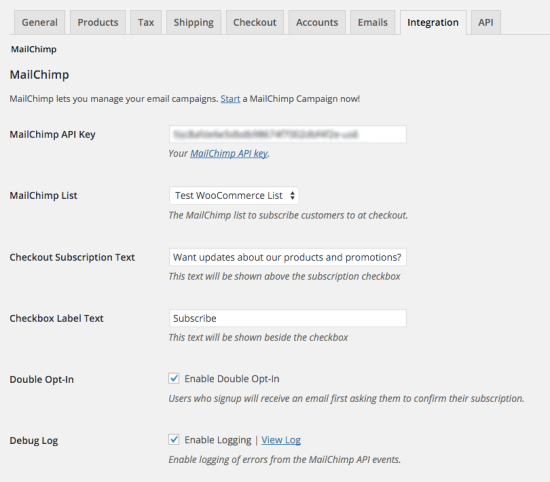 WooCommerce MailChimp Integration Extension integrates your WooCommerce checkout with MailChimp. When your customers reach checkout, they can subscribe to your MailChimp email marketing list. By combining WooCommerce and MailChimp, WooCommerce MailChimp Integration Extension lets you mine valuable marketing data for your email campaigns. For instance, you can send emails based on customer purchase history. Or, target your emails based on customers’ geo-location, products purchase and more!